The Cro-Magnon were early modern humans (early Homo sapiens). 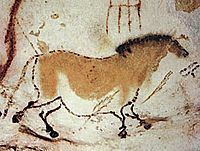 They lived in Europe during the Upper Palaeolithic period. 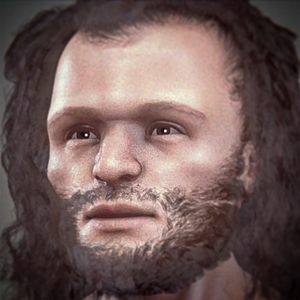 Some anthropologists use the term "European early modern humans" to describe the Cro-Magnons. Mostly, the Cro-Magnon's bodies were shaped like humans' bodies are today. They had the same organs and other body parts that allow today's humans to speak, so the Cro-Magnons could also speak. The original "Old man of Cro-Magnon", Musée de l'Homme, Paris. 19th century impression of life in the upper Paleolithic. Artist: Viktor Vasnetsov, 1883. Cro-Magnon Facts for Kids. Kiddle Encyclopedia.